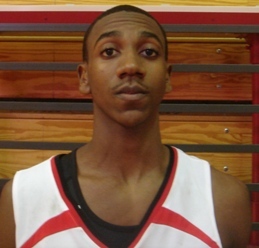 Marquis Teague, the point guard from Indianapolis Pike who is rated among the top players nationally in the 2011 class, will make a decision on where he’ll attend college shortly after his high school season concludes. Teague, who is considering a list of schools that includes Indiana, Louisville, Kentucky, Wake Forest, Cincinnati, Ohio State and Purdue, isn’t as concerned with the Hoosiers on the court results as he is with the direction of the program, according to his father. The elder Teague, who played at Anderson High School and for Rick Pitino at Boston University, said that the relationship between both himself and Marquis and the IU staff continues to be strong. And what exactly should fans make of the recent appearances of Shawn Teague at several recent games at Assembly Hall? Ultimately, though, just as was the case with Jeff Teague, who played at Wake Forest before being drafted last June by the Atlanta Hawks, the decision will ultimately be up to Marquis. Great Interview Alex, it shows a little insight to his recruitment. It also shows his Dad is on top of it too. i hope marquis chooses the hoosiers, i think he would have an immediate impact on the team and could possibly lead to landing more big time recruits in the future. This article has officially gotten my hopes up prob alot higher than they should be. Sounds to me like his dad wants him to go to indiana. Lets hope marquis takes his dads opinion into consideration for the decision. This makes me feel a little better about the future! This sounds like a good, solid, intelligent couple of people. (He and the father.) It kind of reminds me of the Gordons. That Pitino connection scares me, but I guess it didn't have any bearing on the older brother, so that's encouraging, too. Shawn Teague sounds like a very rational man. He's obviously a great asset to Marquis during his collegiate search. Ok, Wow. Fianlly someone who understands Indiana. I dont know if it will come down to Indiana or not, but for right now it sounds like they have as good of a chance as anyone. I just cant believe we dont have more guys like this who want to come to Indiana. You have the state of Indiana itself which is full of people who love and “understand” the game. IU is a great place to go to school, terrific campus, Assymbly Hall is great, the crowd is out of control, 5 national banners on the wall, a great, young, enthusiastic coach I mean what more could you really want. They get plenty of national air time. I understand that kids from out of state may not want to play here, but I'm really surprised that more Indiana kids dont show excitment about playing here. Our family and pretty much all my families friends would have died to play for Indiana, I guess its not the same anymore. Oh well, anyway very encouraging article and it seems that his father really seems to like IU and TC. Would love to have you kiddo…. It would be great to land him, and as much as I think these comments are sincere, I can only imagine his father says the same sort of things about the other schools as well. However, here's to hoping that it's more than just rhetoric and we can land a big time recruit from OUR state. This whole business about “our school is great” is so 20th century. First off, the coach and the school can make millions of dollars of difference in the athlete's income. That has to be #1. This doesn't mean Indiana is a wrong choice. A point guard could be showcased by a good coach like Crean so that his stock would go up despite the eventual record of the team (within limits). On the other hand, with several million dollars, or even one million, he could if he cared to buy a really good education, which is definitely not on offer at IU – I say this as a former student and professor there. IU, Louisville, Kentucky – they offer “social education”. IU has openly admitted that they don't consider freshman and soph years to be important in academic terms…really there's nothing “academic” about IU at all short of grad school and funded research. My impression is that leading pros are now looking at the college game as a way of helping athletes get ready for pro careers – get them used to crazy fans, to long schedules, and so on, and colleges can help athletes make friends, real friends, instead of the hangers-on that pro teams attract. Likely NBA players are pre-millionaires. If universities would just allow them to borrow against their draft stock while in school, they might stay a few extra years. As it is, since the NBA is headed for reduced player pay, everybody's got to go while they can right now. The fact that colleges profit from players without paying them is racist. The fact that they try to use the old rah-rah for old F.U. as an inducement to keep them from going pro is pathetic; the only result is that players are forced to repeat meaningless cliches over and over to satisfy the media and fans. The fact that they don't cooperate with the league in letting athletes essentially major in pre-pro basketball studies is short-sighted. Regardless of whatever decision Marquis makes, it sure seems like he's getting excellent parental advice from his dad. Both as a father and a guy that has experience with the recruitment process in general. I don't know what to say about the comment from “Teach”, I really don't. It makes my head hurt. Whats this got to do with the article? Ok, I'm lost. What does this have anything to do with anything. What are you talking about. Hey, I dropped a pencil the other day and when I went to pick it up this girl kicked it right out from under my hand. I was like, dang???????? The article is about Marquis Teague, not racism, not labor laws, not THE MAN. This sounds great, love the interview alex……hate to be the rain on our parade….Kyrie Irving, Josh Selby, and Jelan Kedrick all said wonderful things about IU and their families….and none of them committed. I hope like hell Marquis Teague comes to IU, but my hopes are higher for kids like J. Davis, DSR, Patterson etc. The Good News…… By the 2011-2012 season IU will be a more experienced team with more talent to fit in with Teague and ideally a tournament team. There is a chance……..
Good for you, Marquis. Enjoy playing basketball, enjoy being a kid, and sit down and think the decision through and make sure you decide on a place that you want to go. I am glad that the Teague family continues to take IU seriously. I hope we can compete effectively for his play at IU. We are dealing with top-flight competition for a top-flight player. I hope he wins Mr. Basketball in Indiana this year regardless of where he plays college ball. It sounds like his father has received from Coach Crean everything that his father needs to know about his son's future with IU. Totally agree. I understand the out of state kids and that the program is in a full rebuild mode, but how can Indiana kids not see the opportunity to be “the guy” that turned it around. Seriously, how can you not see that? Maybe it's only enough to get us close, but not for a kid to pull the trigger, who knows? But, there is a tremendous opportunity here for the Teagues, Zellers and DSR's of the world. We just need one to make the leap, then I think/hope the floodgate will be open. Isn't the difference between “right at the conclusion of his high school season. Or somewhere in between there and June” a pretty wide gap? Most HS seasons end in early March. Either way, great words from Shawn Teague and sounds like the family has a good perspective on things. Similar to others, I'm wondering if the answers would be much different if this was a UK or Louisville blog. Either way, it's encouraging news, and even if he doesn't commit, it's good for other recruits to hear those words. Kudos to Marquis and his family – obviously they are being thorough in this process and making the best decision they can. For those that knock Crean's recruiting, that he “can't close the deal” . . . he's had nothing to sell to '08,'09, or even '10 kids. I think beginning in '11 we have a real shot – given scholarship limitations, '11 may not be the year, but we're looking good with promising '12s. And I think Crean WILL have something to sell . . . we'll be a program on the upswing with a bright future. This is kind of high-quailty player and kid that would be perfect . .. imagine being the piece that brings IU back to the top??! True about Irving, Selby and Kedrick however, none of those guys played prep ball in Indiana. That makes a difference, right? Well, one would hope so. By the way, great interview and article Alex! This site continues to put out great work and provide reasons to check it often! Yea, it makes a huge difference. Another difference is Selby, Kendrick, and Irving's parents weren't attending the Assembly Hall routinely to check out the games. Going into next season the team will be much stronger, with the return of Creek and Roth and you never can count out late comers via transfer or surprise de-commit's, and it should be ready to really make some noise in 2012 if we can just land some quality ball players. With all this bad,negative energy and news abound in Bloomington for the past four years or so something has got to give, or you would think anyway…..
No doubt, man that gets me so excited to listen/read these and particularly your post's. You hit the nail on the head, if one of these guys would just do it and have SUCCESS thats all it would take. They would be lining up to play for Crean. Strangely enough though I can see it the complete opposite way but I'm not even going there cause I feel like a freakin kid in a candy store right about now!!!!! Awesome article! 1. Teague is an amazing talent, and man did this article make me excited bc hes the type of player that IU could really rebuild around, even if he goes pro just the exposure and putting IU on the map would be great. they removed the guys comment. he said not paying players was racist, that is what my comment was about. i was just as blown away about him bringing that up as you are in me bringing it up. i agree, i am new to these iu blogs and i am really impressed with a lot of the articles. good stuff alex, go hoosiers!!! Thanks for bringing the reality dose. I've never heard of a recruit badmouthing a school to an interviewer who supports that school and we've heard this story from kids who went elsewhere. It's always good for recruits to say nice things about IU, but let's try to temper things a bit. But I have to admit, after searching for good news about the program-when it can't be found anywhere on the court-I enjoyed the article. I don't get it. Why wouldn't you go to Indiana? You lived her all your life, you have to know what all the hype is about. You could go to Kentucky and just be another player in their minds, or go to IU and be a hero in Indiana. If MT commits it may very well be the dam buster needed to put IU back into the top 10 for recruiting HS hardwood stars. Coach Crean's work ethic will pay off. I can't believe I'm not seeing comments about Crean not recruiting bigs!!! What gives? Teague would be a great get, but what about the next Uwe Blab? Won't we have enough guards without adding one of the top 5 players in his class? And I'm not seeing any one and done comments either? I kid. The thought of him in IU's backcourt makes me salivate. Could have done a little research and spelled Bob Hammel's name correctly. Just saying. Here is some insight as to what “one and dones may hearing” not sure if they want to hear this but interesting quote from Crean…..
ok muse its officially on!! this is the top jr in the nation. he is considering everyschool but ul and iu are his top two. this kid will make j.wall look silly!! i know he came to hoosier hysteria and his brother and dad are season ticket holders at iu but his dad has a strong relationship with coach pitino. hes been to four iu games and two ul games and 0 uk gameslol this year. this will drive a nail in our relationship.lol oh well atleast we dont have to play each other!! real talk look at this kids statsas a jr. plus he plays at indy pike which is one of the top teams in the country!!! I heard Louisville tops his list but i hope i heard wrong. He could be huge in turning indiana around. If Marquis Teague comes to UofL he will have a great chance at a championship both his freshmen and sophmore years. He would be a part of the best guard combination in all of college basketball with him and peyton siva. Not to mention we have Blackshear,Chandler,and Taylor all coming in that year so he would be a part of the number 1 recruiting class in the nation. If his game is anything like his brothers which it seems to me it is then he would fit beautifully in our system as more a 2guard who gets a lot of the shots yet still looks to pass and has the ball in his hands alot. Pitino is looking to cement his legacy over the next 7-8years and put together some teams like his '96,'97 UK teams,and Teague is a huge piece,man I really hope he comes and plays for us!